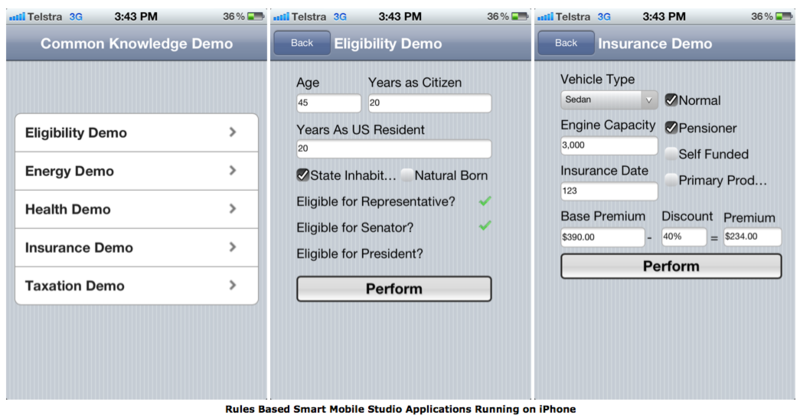 We are about to release our first update of Smart Mobile Studio – version 1.0.1. Due to our roadmap we were supposed to release this version today (June 18th). We do, however, still have some testcases we would like to run trough before we officially announce it. We will publish a detailed changelog when we announce the update officially tomorrow. Christian-W. Budde has already created lots of cool smart demos. This time he created another nice fractal art project, The Buddhabrot. The Buddhabrot is related to the Mandelbrot set and generates a depiction of Gautama Buddha, seated in a meditation pose. The project is also available as native app for all the platforms supported by PhoneGap. The project will also be included as a demo project in the upcoming update of Smart Mobile Studio. A couple of Smart dedicated blogs have been established during the last few weeks. Primož Gabrijelčič (aka TheDelphiGeek) has established www.smartprogrammer.org for Smart related stuff. His Delphi blog www.thedelphigeek.com will only publish Smart stuff that is relevant for the Delphi programmer. At his blog you can also take a look at his Smart book and vote for which chapters he should be working on next. Shane Holmes (aka IElite in our forum) is new to Smart and has started to share his experiences at smsbasicsandbeyond.blogspot.com. This is very interesting for new users, because he shows step by step how to solve various issues. He has also a YouTube channel you should pay attention to. Well done, Shane. 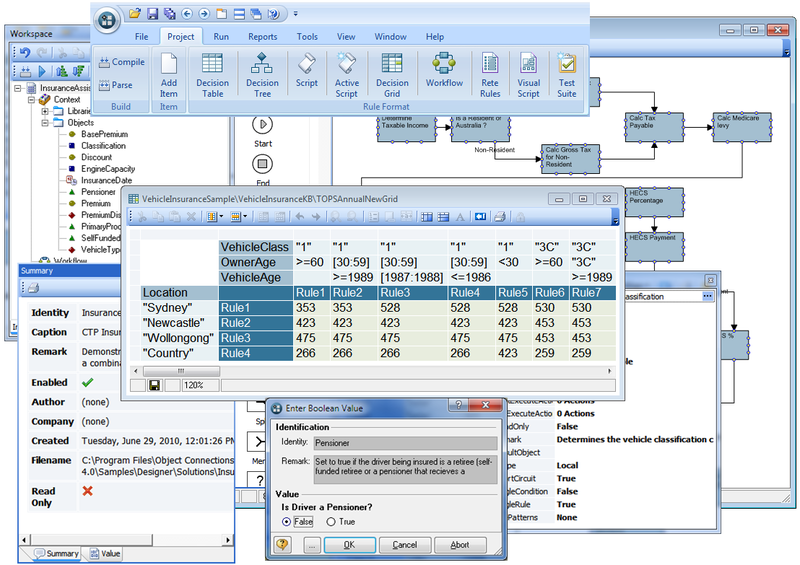 Common Knowledge is a business rules management product from Object-Connections that allows business rules and application logic to be visually captured, documented and maintained. The Common Knowledge SDK (rules engine) allows business rules to be automated through integration with .NET and Delphi based applications. So with a few minor tweeks of the CodeGen Delphi generator, out popped a file containing 100% documented, formatted Smart compatible code. A quick cut & paste, a few fields on a form and Common Knowledge… meet HTML5. A quick build with PhoneGap and business rules… meet iPhone. The inclusion of a business rules capability into client side HTML5 based code has the potential to enable the development of intelligent and highly maintainable mobile applications across a range of domains such as banking & finance, insurance, telecommunications, health, sales & marketing, and logistics. We are happy to announce that the ever productive Primož Gabrijelčič, who has followed Smart Mobile Studio from the beginning and contributed immensely, is busy writing a book on our flavor of Object Pascal. The book will be the defacto bible for HTML5 programming with Object Pascal and cover Smart Mobile Studio in depth. 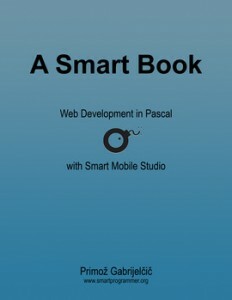 The book goes through the primers, such as data-types, enumerations, arrays, records, anonymous records and language structures – but also more advanced topics like regular expressions, the layout library, touch and gesture, accelerometer, local storage, networking and serious graphics programming. Head over to his blog and get a preview. You should also show your interest at the publishers site. Two chapters of the book is finished, and the book is now available for purchase!